Inspired by London 2012 and the Tour of Britain 2012, Cranleigh Cycling Club is a friendly and approachable club with a healthy membership. Our aim is to offer a cycling club that promotes fun, safety, bike etiquette and personal development. Regular organised rides, catering for all abilities, start from local venues on both Saturdays at 08:00 (Smithbrook Kilns, GU6 8JJ with one steady and one pacier group and then on Sundays (Cranleigh Leisure Centre, GU6 8AF), and explore the best cycling roads in the south. We also take advantage of some of the most envied off-road riding in the country and offer mountain bike rides on the last Sunday of the month. 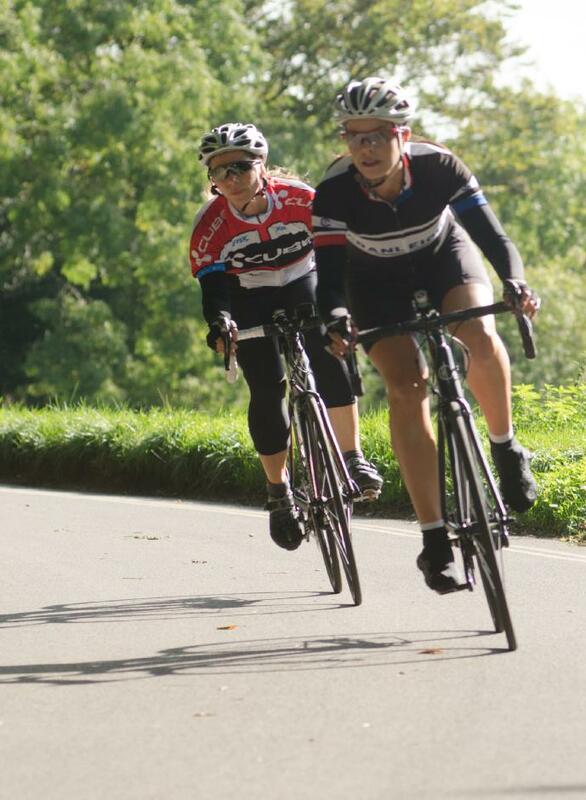 For our main Sunday rides we offer a variety of ride routes, distances and paces. Ride groups are formed on this basis and ‘batched’ according to a maximum size so as to be safe and manageable both from a riding perspective and from the perspective of other road users. All members are emailed the planned Sunday routes a few days in advance. This gives you a chance to review the route options and choose the one that best suits your ability and enthusiasm. Everyone should know where they are going and we encourage all riders to get to know each other at the Ride Briefing before the ride starts and ensure that they know who's in their group and that they all stay together for the entire duration of the ride. At Cranleigh Cycling Club we have a policy that “nobody gets left behind on a club ride”. Our membership covers the full age spectrum of 14 to ‘beyond’ and is well supported with both male and female members. Our rides range from leisurely to fast with a number of members competing in sportives, league racing, time trialing or multi-day endurance rides. Our focus in 2016 is to continue to provide a platform for our members to enjoy their sport at their chosen level of competitiveness, support and encourage responsible riding with a particular emphasis on increasing our profile for younger members. Why not try the Club before you join? Just come along with a friend if you like, introduce yourselves and enjoy the club support. If you would like to join as a member, it's easy - everything is online - just fill in your details and we'll send a membership confirmation as soon as we process your application.